On any given day, the Miami International Airport Injury Lawyers at the Wolfson Law Firm answer questions from people involved in slip and falls, pedestrian accidents and car accidents at Miami International Airport, also known as MIA. Many of the questions come from tourists and visitors who come to the greater Miami are to visit family, enjoy the local attractions or go to our beautiful, pristine beaches. The MIA Personal Injury Lawyers help people in all aspects of personal injury at Miami International Airport including motor vehicle accidents, truck accidents, pedestrian accidents, motorcycle accidents, slip and fall, premises liability and wrongful death. 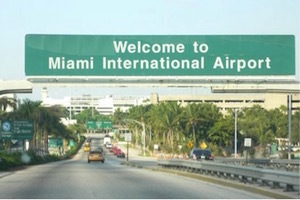 Miami International Airport is one of the largest international airports in the USA. It is also known as MIA and is located in the unincorporated portion of Miami-Dade County and is surrounded by the cities of Miami, Doral, Miami Springs, the Fontainebleau neighborhood and the Village of Virginia Gardens. Three main roads serve MIA: Le Jeune Road; State Road 112; and State Road 836. The transportation options at Miami International Airport include taxi cabs, buses, Uber or Lyft, and Metrorail. In Spanish, it is known as Aeropuerto Internacional de Miami. The airport is the primary gateway for the United States and Latin America. The international traffic includes people from Venezuela, Colombia, Brazil and Argentina. The airlines serving Latin America include American Airlines, Avianca, LAN and TAM Brazilian Airlines. In the past MIA has operated as the hub for Eastern Air Lines, Braniff, Pan Am, United Airlines, Iberia and Air Florida. Miami International Airport also has a significant cargo operation serving Eastern and Western Asia, the Americas, and Europe. As of 2011, the International Airport of Miami was number 23 on the list of busiest airports of the world and number 10 in the USA. Miami International Airport has also processed the most international cargo of any American airport. If you live in South Florida or if you are visiting here for personal or professional reasons, and you are injured due to the negligence of another person, company, corporation or a public governmental agency, the Miami International Airport (MIA) Personal Injury Lawyers can help you and your family. If you are injured in a slip and fall at Miami International Airport, you may be entitled to recover compensation for your medical bills and other harms and losses. The same applies to a trip and fall or some other type of premises liability where due to the negligence of another you are injured. The Miami International Airport Slip and Fall Attorneys can help to make sure a proper investigation is performed and the responsible party is made accountable. Some clients are concerned with the question of whether they need to be a United States citizen in order make a claim for personal injury or to use our court system. The Miami International Airport (MIA) Personal Injury Attorneys will tell you that you do not need to be an American citizen to avail yourself of our system of justice. In fact, our MIA Accident Lawyers represent, in the past as well as presently, clients with personal injury claims from a number of countries including Grand Caymans, Sao Paulo Brazil, Caracas Venezuela, Bogota Colombia, Nicaragua, Ecuador, and Costa Rica. Other clients can be concerned about a language barrier with their personal injury attorney. Our Miami International Airport Accident Lawyer Jonah Wolfson is a bilingual personal injury attorney in Miami. You can see him speak on a variety of topics on the Wolfson Law Firm Spanish website right now or you can call him today at (305) 285-1115. If you were injured in a car accident at MIA or on any form of transportation including taxis, limousine, car service, Uber or Lyft, Metrorail or bus then you should call the Miami International Airport (MIA) Car Accident Attorneys today. We can help you navigate the complicated processes in Florida of preserving and presenting your car accident personal injury claim. We can help you work with your physicians and health care professionals so that you can recover. Our MIA Accident Attorneys can deal with the insurance companies while you recover. We will investigate the facts of your car accident, determine who is responsible, and aggressively represent your interests. There is a tremendous amount of foot traffic at MIA. People rushing to catch flights. Others walking to the parking garage. Crowded crosswalks, people movers, escalators and elevators. If you were injured as a pedestrian, our Miami International Airport (MIA) Pedestrian Accident Lawyers can answer your questions and assist you in presenting your claim. If you were seriously injured at Miami International Airport (MIA), our Miami Serious Injury Lawyers can help you and your loved ones get through these difficult times. We will meet with you anytime and come to you for a free consultation if you need us to. At Wolfson Law Firm, our Miami International Airport Accident Attorneys can help you proceed to pursue financial compensation from any responsible driver, person, retail store, dining establishment or public agency who might be responsible for your injury. Call us at 305-285-1115 to set up a free consultation with a Miami International Airport (MIA) Personal Injury Lawyer. 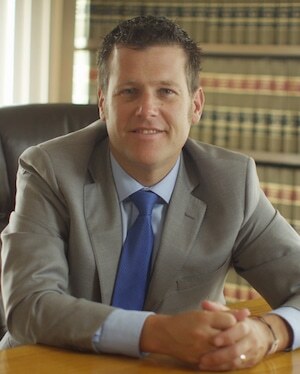 The Wolfson Law Firm also represents slip and fall accident victims in South Miami, Virginia Key, Palm Beach Gardens, Boynton Beach, Allapattah, Homestead, The Roads, North Miami Beach, Kendale Lakes, Westchester, Fort Lauderdale, Miami Gardens, Miramar and other cities throughout South Florida.